Manicures and pedicures are popular services. Almost every modern woman tries to visit the beauty salon to make up her nails and be well groomed as often as possible. Today, these services are not only for women but also for men. Therefore, manicure or pedicure procedures took place in a comfortable environment, and the master is able to show customers his professionalism, special equipment is needed. Each artist must remember, that the quality of his work and consequently his success depend on how well he will pick up the equipment. On our site, you can pick up everything you need for a manicure and pedicure, namely lamp for drying gel, nail files, buffs, chairs and tables, pedicure and manicure bath, container for sterilization, sticks for cuticles, lamps, towels and more. The great variety of products will please all masters of manicure and pedicure business, which means that we can help you. We have only the best modern equipment, and it will please you with long-life use, which means that it does not need to be changed every year. 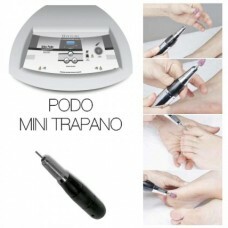 Inexpensive equipment for a pedicure and manicure, you can order in our company. Over the last years, it has actively supplying cosmetic products on the European market, and we always please our customers. Our company is ready to please you with the comfortable conditions of online shopping. You can make a choice quickly and competently, and it is all thanks to the excellent interface, convenient search and professional support. We are ready to contact you in order to provide expert assistance. Our experienced managers are your indispensable assistant. They are happy to help everyone. Products for manicure and pedicure can be found here at attractive prices, which means that there is no reason to waste time looking for another store, and you can save your funds easily with us. Many successful beauty salons have become our regular customers; they are proud of their customers and never disappoint them. Buy from us and your success is guaranteed!